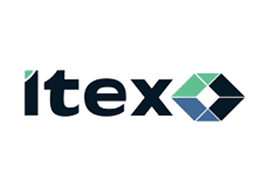 Top flight Financial Technology (Fintech) group, Itex Integrated Services Limited, has thrown it weight on deepening financial inclusion in Nigeria using innovative consumer centric products. Since inception, Itex Group has been championing strategic designs and deployment of tailored solutions to diverse customers. The activities of the firm are relying on the its latest brand identity that reflects its growth and transformation to drive government’s push for a cashless economy vide innovative electronic payments. Currently, Itex Integrated Services offerings span from payment channels to include PayVice, TAMS, Internet Payment Gateway, Afrimart and others. Business Hilights recalls that Itex group had played a strategic role alongside the CBN, and the Nigerian Interbank Settlement System (NIBSS), in the initial implementation of an interoperability platform for the successful cash-less Nigeria rollout; using TAMS platform which supported over 150,000 POS terminal deployed across Nigeria. Besides, the firm facilitated the multi-card acceptance (Visa, MasterCard, Verve etc), and payment channels across all major financial institutions in Nigeria. He revealed further that ahead of 2019 financial year, “The Company has also adopted methodical strategies and technologically differentiated its products offering ensuring best quality, at affordable prices”.